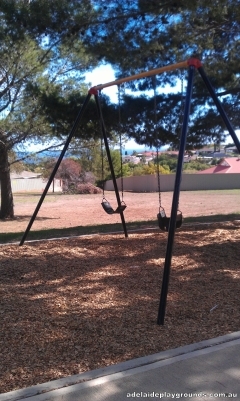 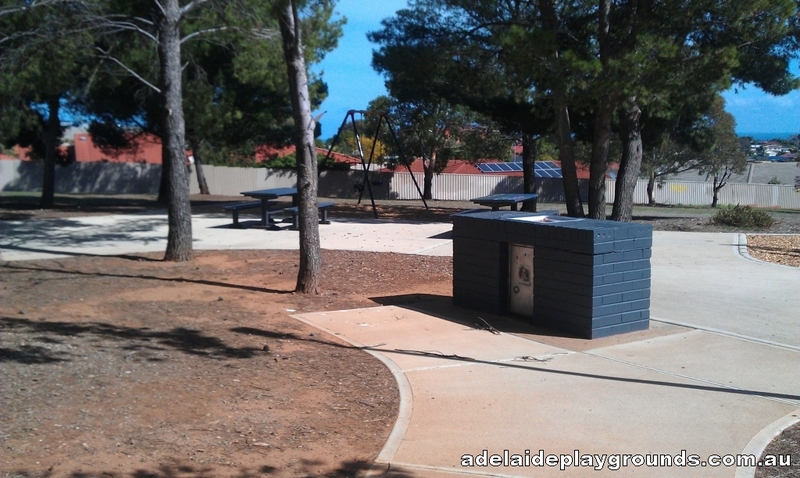 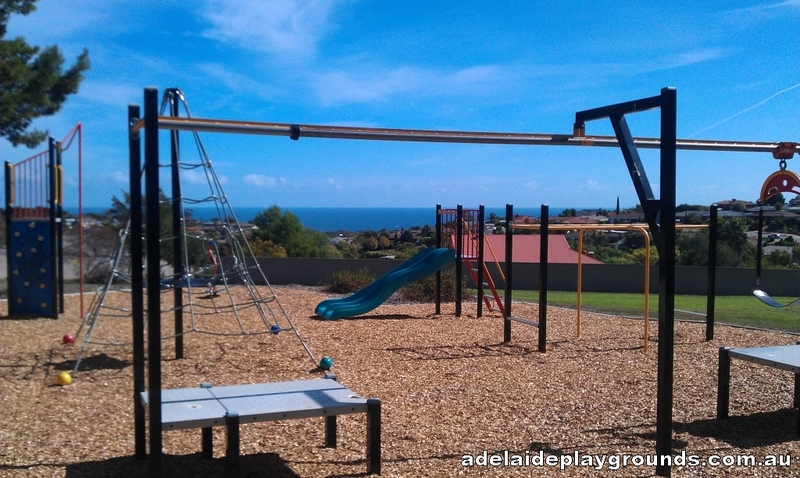 This small park hidden in the streets of Hallett Cove has a nice view of the sea. 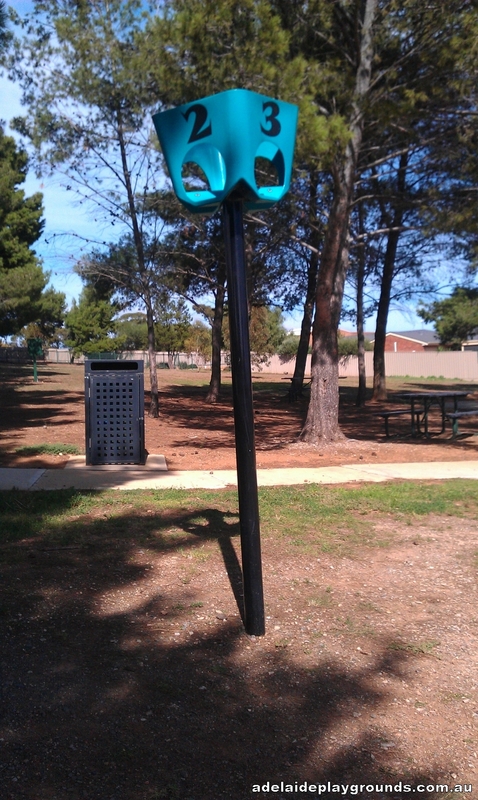 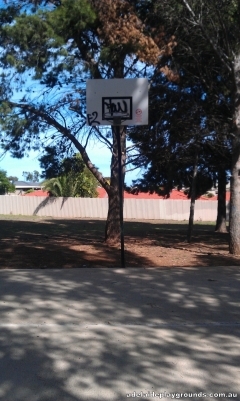 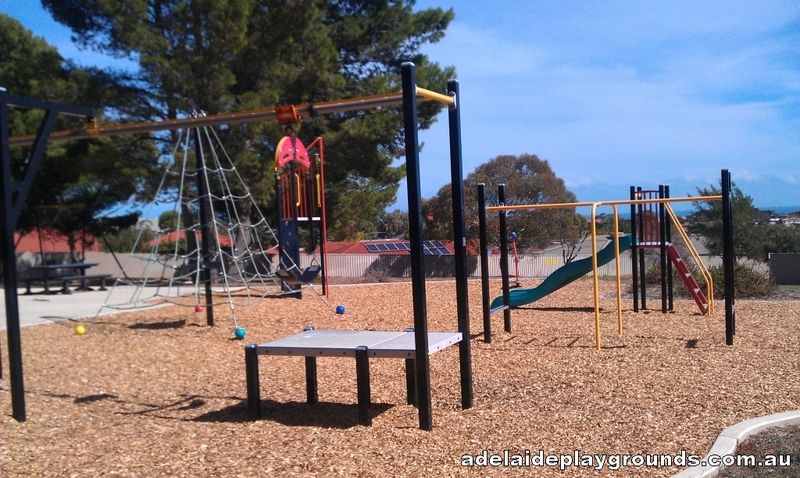 There is a ball goal game and basketball on offer as well as the play equipment. 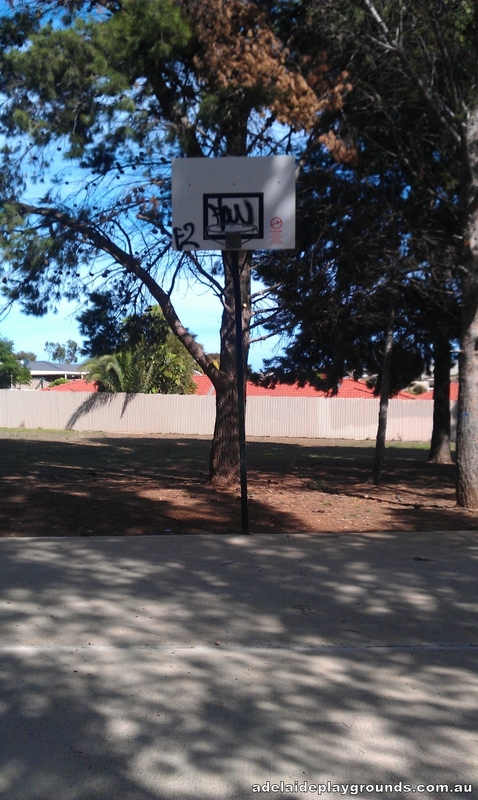 Unfortunately there was a lot of graffiti and broken glass about when we visited which brought the park down.